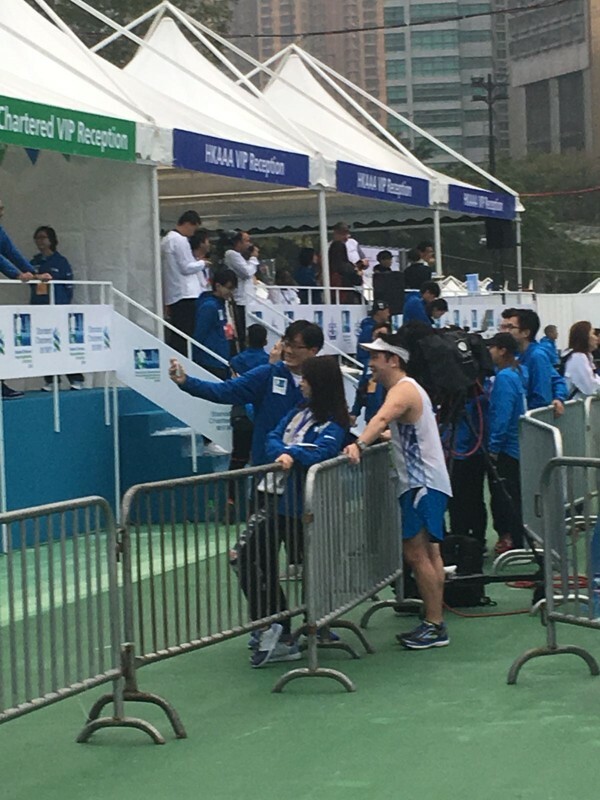 “Please do not selfie,” begged the master of ceremonies over the loud speakers at the finish line of the Standard Chartered Hong Kong Marathon in Victoria Park. But even if he could be heard over the booming chart hits welcoming the runners home in their garish gear, the plea fell on deaf ears. Well, what did the race organisers expect? Smartphones accompany us everywhere and running anywhere – whether it is 10km or a full 42.195km – is no different. Plenty of runners had already preserved the moment for posterity, posted it and moved on by the time the music and then the requests began 90 minutes into the fun on Sunday morning. Those runners that followed over the finish line continued this most modern of traditions and snapped selfies with the finish line and their times as the backdrop. Even some of the race volunteers were spotted snapping selfies with runners. No wonder that their fellow volunteers, like the old chap who was right in the midst of the runners as they crossed the line, were waved away as jobsworths when they tried to stop the selfie snappers. He was fighting a losing battle. While the “no selfies” appeal was explained as being in the interests of runner safety, the number of people taking photos did not seem to slow down the vast majority who chose not to pose. “Put your hands up and smile when you cross the finish line,” was the corresponding message from over the speaker – so that official race photographers could get their shot – but maybe the organisers should put their hands up and accept defeat in the war against selfies. Runners 1. Fun Police 0.